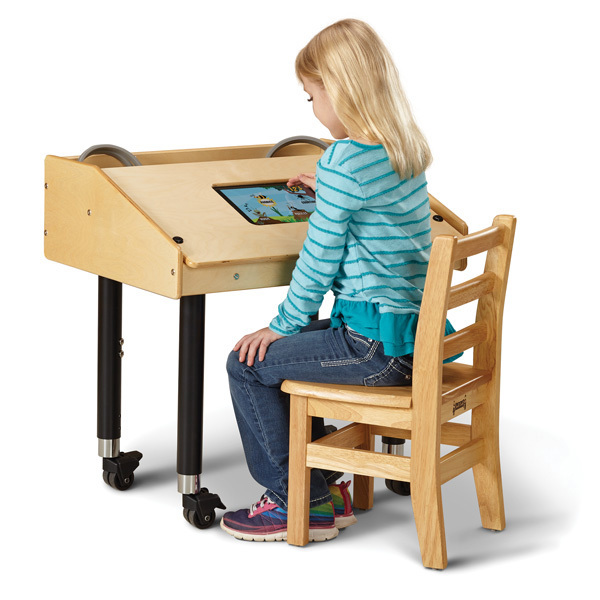 Make sure your child is comfortable while exploring new worlds with tablets! 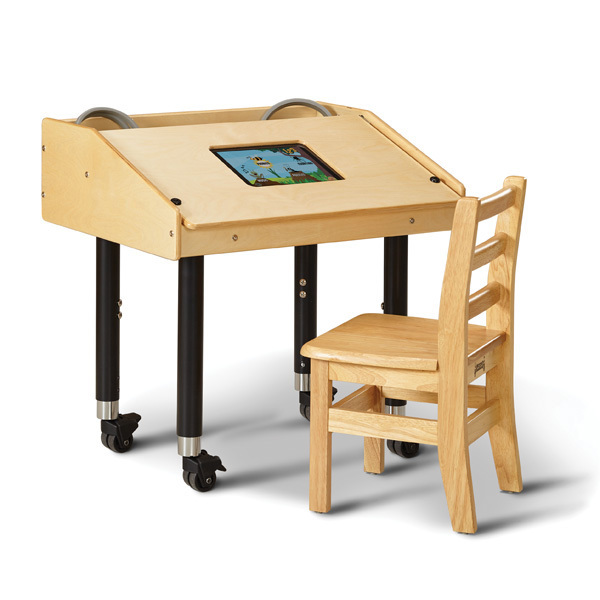 This mobile table was designed to help a child sit in an ergonomically correct position while interacting with tablets. It also ensures expensive tablets are kept protected and safe. Cushioned supports protect the tablet from scratches and our tool-less mounting makes it easy to install and remove tablets. 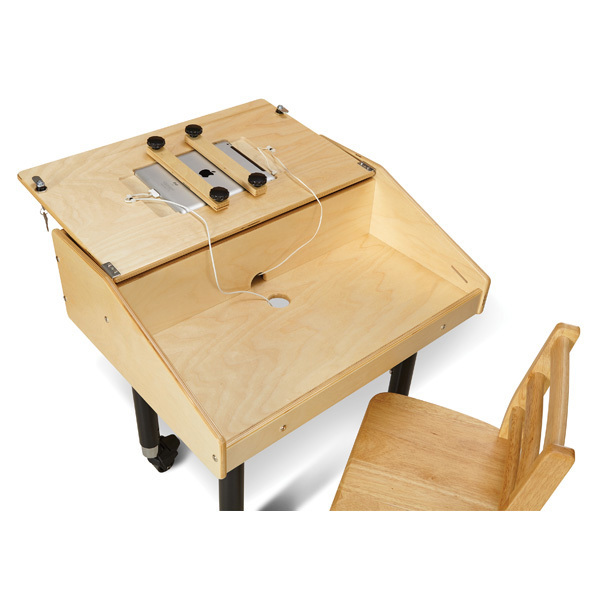 Identical locks hold the top closed and secure the tablet inside the table. The open section in the back of the table is 6" wide x 25.5" long x 6.5" high and creates handy storage for headphones, stylus pens, and books. 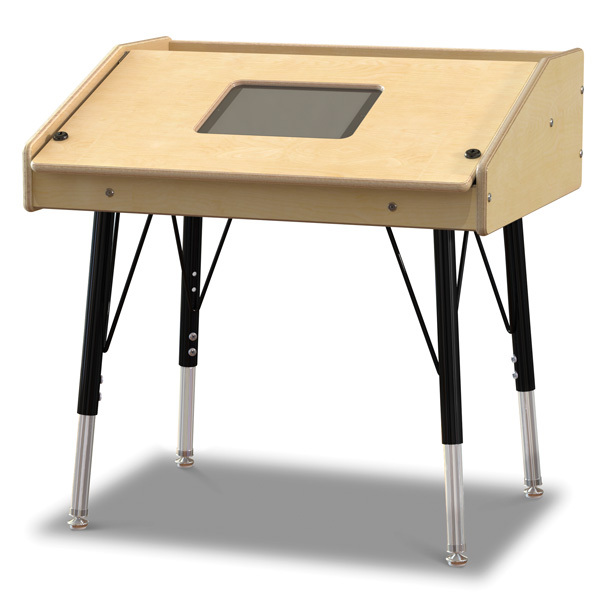 To provide comfortable viewing, the center of the screen is positioned 3" shorter than height of the table. Legs come with casters and levelers. The openings are designed for tablets sized 9.5" x 7.31"—such as the iPad2®, iPad3®, and iPad4®.